Show Alert: HYUKOH additional show added by popular demand! After selling out their show taking place on the 25th October in record time, we’re delighted to announce that, due to overwhelming demand, HYUKOH will now be playing a second show in Hong Kong. Taking place on the 24th October at the same venue (KITEC’s Rotunda 2), with the same ticketing details, we will be going on sale at 10am on the 22nd September exclusively via ticketflap.com/hyukoh. YourMum is thrilled to announce that Korean indie sensations, HYUKOH, will make their welcome return to Hong Kong with us on October 25 at KITEC’s Rotunda 2. Playing their largest headline show here as part of their ‘How To Find True Love and Happiness’ worldwide tour, which will also feature gigs in Europe, the USA, Asia and Australia in the coming months. 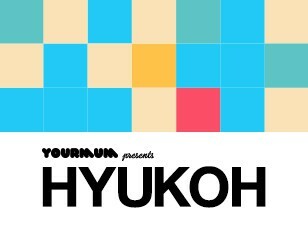 Tickets go on sale Sept 19, 10am from: ticketflap.com/hyukoh. Bursting on to the Korean scene in 2014, HYUKOH’s trademark brand of neo-soul indie rock spread like word-of-mouth wild fire, winning legions of loyal fans, and the quartet were swiftly dubbed the ‘Band of the New Generation’. They appeared on ‘Infinite Challenge’, one of South Korea’s most popular TV shows, catapulting the group into mainstream household notoriety, whilst releasing a slew of sold out EP and single releases along with their debut LP ‘23’ to widespread acclaim. Handpicked as the first Korean act to be selected for ‘BEAT X BEAT’ from Beats by Dr. Dre (alongside the likes of Coldplay, Kendrick Lamar and Ariana Grande) the group also had their track ‘Citizen Kane’ featured by Apple to soundtrack their iPhone X global commercial campaign, pushing the band to a truly mainstream, worldwide audience. Here in Hong Kong, two sold out MusicZone dates last year followed their 2016 Clockenflap festival introduction. They’re now back in the city by popular demand, to play their biggest ever headline show yet. Celebrating their latest 2018 smash hit release: ‘<24> How To Find True Love and Happiness’ - which went straight to the iTunes #1 spot in numerous country charts across Asia - this is the prime time to catch Korea’s hottest live property in the height of their powers.